Chris Brown will allegedly only be allowed to have one shower every two days during his month-long stay in a Los Angeles correctional facility. 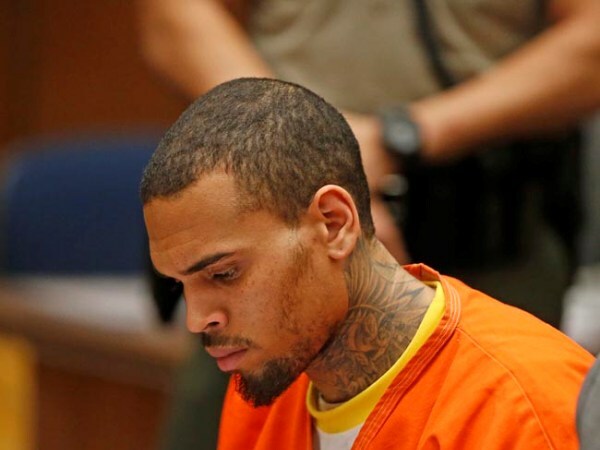 Chris Brown won't be allowed to shower every day in jail. The R&B singer was sentenced to stay behind bars in a Los Angeles correctional facility for another month on Monday after getting thrown out of a rehab facility in Malibu. It has now emerged he will reportedly only be able to wash once every two days. Chris - whose legal troubles stem from violating his probation in the infamous Rihanna assault case - will be placed in solitary confinement 23 hours a day, according to TMZ, so won't have to worry about his personal hygiene bothering a cellmate. However, the site reports that the suave singer will still be able to read library books and workout from the confines of his cell, where he is expected to remain until his probation violation hearing on April 23. Chris (24) was transferred to the correctional facility after a court hearing yesterday during which judge James Brandlin revealed Chris had been kicked out of rehab after "rubbing elbows" with a female, refusing to take a drug test and making a threat during group therapy, reportedly saying, "I am good at using guns and knives." Being chucked out of the court-ordered anger management programme - which was extended from an initial three month period - was considered to be a violation of his probation. The Don't Wake Me Up singer also faces a separate charge of misdemeanour assault in Washington D.C., which will be heard on April 17.